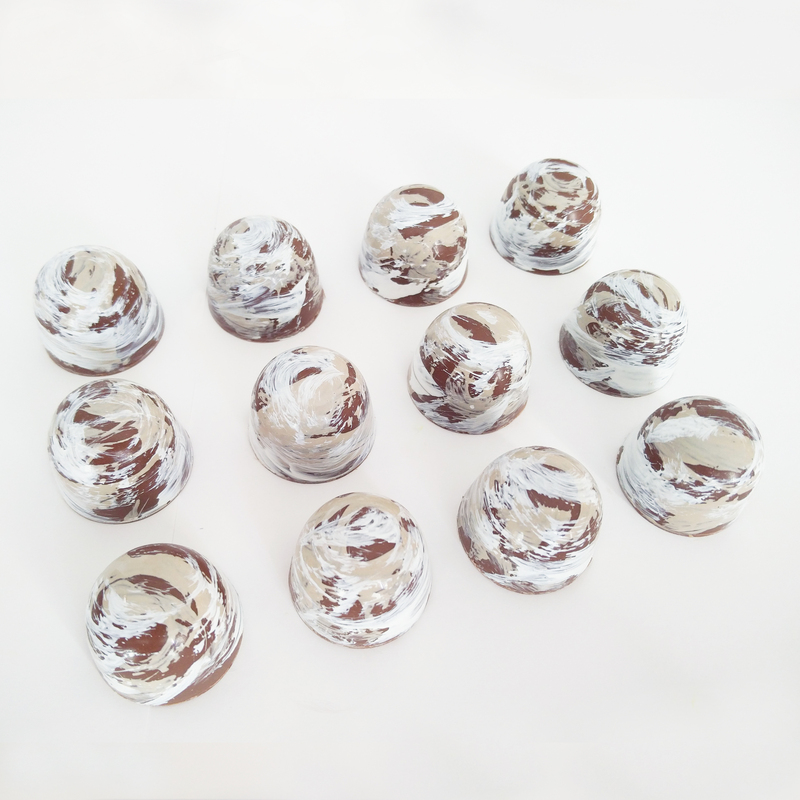 12 handmade chocolates combining design with great taste, making visually striking chocolates that excite the senses even before the delicious flavour of Caramelised Biscuit is experienced. A layer of cruncy caramelised biscuit ganache and milk chocolate ganache in a 33.6% milk chocolate shell. These creative chocolates are that little bit different and special - perfect as a gift, or treat yourself! 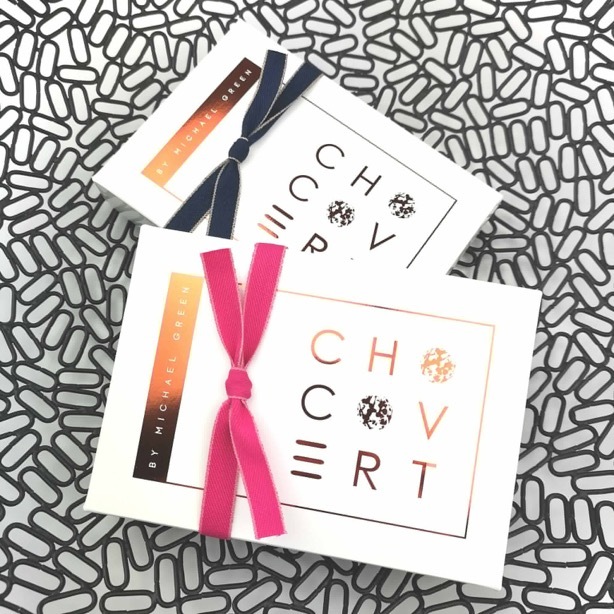 Chocovert are passionate about experimenting with the unusual, and they have made a selection of flavours that will burst in your mouth with stunning flavour. Crafted by hand with love and care using only the finest ingredients. Shelf life: 3 - 4 weeks. Milk Chocolate (min. cocoa solids 33.6%)(sugar, cocoa butter, whole milk powder,cocoa mass, emulsifier: soya lecithin, natural vanilla flavouring, cocoa), Whipping Cream, Caramelised Biscuit Paste (original caramelised biscuits (wheat flour, sugar, vegetable oils), candy sugar syrup, raising agent (sodium hydrogen carbonate) Soya flour, salt, cinnamon, rapseed oil) Water, Coloured Cocoa Butter. Contains milk. All chocolates may contain traces of nuts. Takes chocolates to another level! Absolutely beautiful to look at and to eat and worth every penny... every flavour tastes great and they're just too good for sharing. I love these chocolates, they're like miniature works of art! I love these chocolates, they're like miniature works of art! I would definitely recommend these to lovers of good quality chocolate. 5 stars is not enough! 5 stars is not enough!! I like to think I know my chocolates (having consumed a lot of high quality chocolate products from all over the world) but even I was totally blown away by these. Not only do they look incredible, with the unique and beautiful designs and shapes, but the flavour combinations and textures are superb. It hardly seems possible that you can combine flavours like beetroot and coconut, coffee and coriander and still be able to taste each flavour. All my friends will be getting these for Christmas (and I am going to buy more for myself too!). 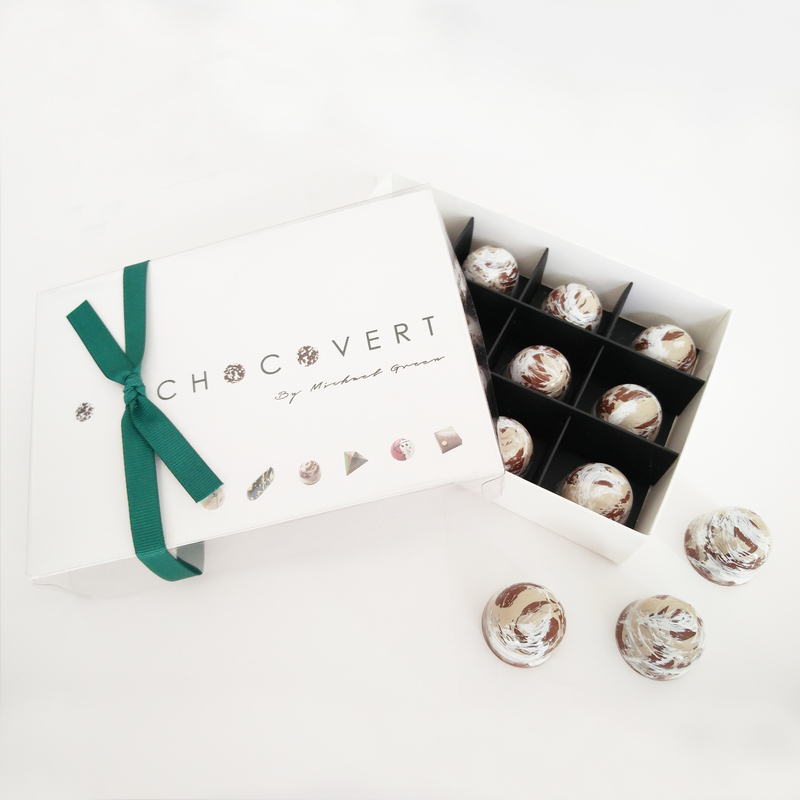 Absolutely beautiful chocolates that taste divine! Contemporary and creative chocolate infusing modern design with eclectic flavours.